These are uncertain times we’re living in. And where we’ll be a year from now depends on who you believe about this debt ceiling debacle. Will we default and be forced to eat shoe leather by the light of a trash fire, as Democrats would have us believe? Or perhaps the Tea Party has it right and China will say, “Oh, that money you owe us? Fuggedaboutit!” And then we’ll all go frolicking through the field of blowjobs and lollipops that blossomed when we defunded the EPA. I’m voting for that. But just to be safe, I’m buying a bunch of shoes. 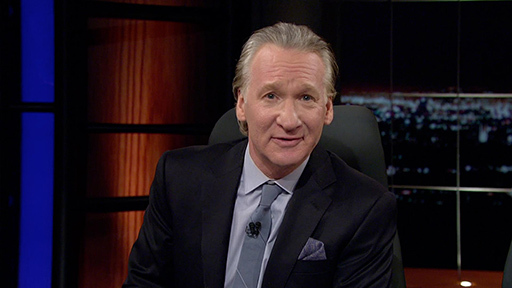 Blowjobs or no jobs, rest assured that all will not be lost, for the brilliant, generous and ridiculously good-looking people at HBO just announced that ‘Real Time with Bill Maher’ has been renewed for a 10th season! Did I mention that they were a handsome bunch? So sure, call your Congressmen and Congresswomen and politely ask that they take their heads out of their asses. But even if they don’t, Bill Maher and his coterie of ne’er-do-wells will return to pick up the pieces. Now all you have to do is figure out how to power your TV with an old tuna can and a Snuggie. What are your hopes and dreams for ‘Real Time: 2012’? Put them in the box below and they may come true!